Read the full global press release, the Asia press release in English or the Europe press releases in English, Hungarian (PDF), Czech (PDF) and Polish (PDF). A decade into the new century sees religious minorities confronting serious violations of their rights around the globe. Following the violent attacks of 11 September 2001, governments of every political hue have used “war on terror” rhetoric to justify the repression of religious communities. Other religious minorities have faced a violent backlash, often unjustly accused of siding with belligerents. In Africa, the Middle East, Asia and Latin America, armed conflict and land seizures have forced minority and indigenous communities away from locations central to their religious beliefs. Europe has witnessed gains by extreme rightwing political parties which are targeting religious minorities with their inflammatory language. An analysis of government initiatives that contribute to the marginalisation of religious minorities, such as religious profiling and registration laws. First-hand accounts, from around the world, of the discrimination and exclusion faced by those belonging to minorities who wish to exercise their right to freedom of religion and belief. An exploration of grassroots efforts through interfaith dialogue to ease tensions, overcome conflicts, and promote peaceful and equitable development. 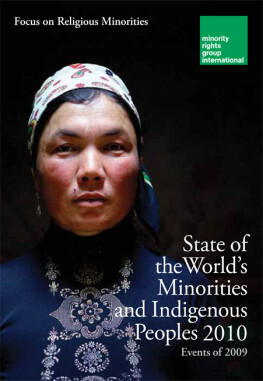 An overview of the human rights situation of minorities and indigenous peoples in every major world region. 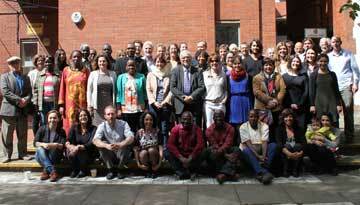 The unique statistical ranking and analysis, Peoples under Threat 2010.